Parents of young children know television can be a lifesaver. The right show can give you time to do the laundry, make dinner, or just give you a few moments of peace. Then there are grandparents, who want to make the little ones in their life happy. Enter Michael Hauss, who wanted to help his daughter and 19-month-old granddaughter Julianna as they moved into a new home in Clementon. 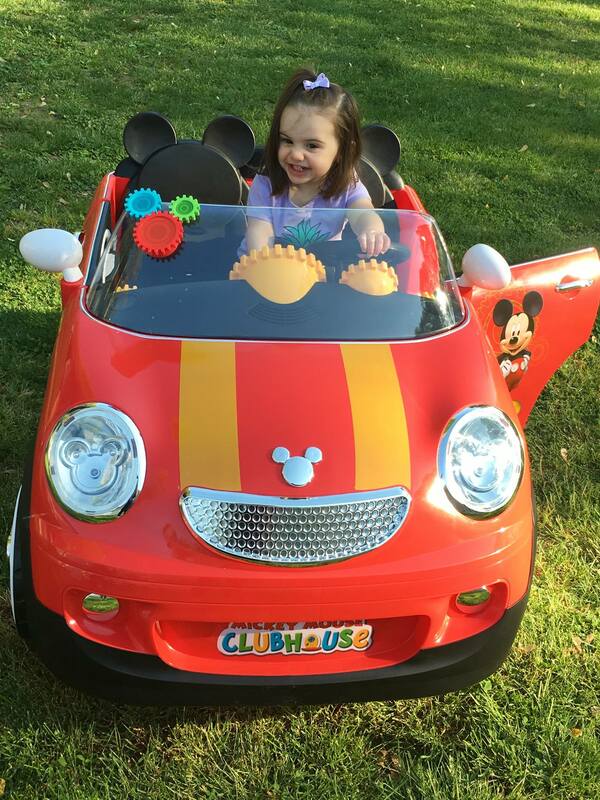 Julianna is a huge fan of the Mickey Mouse Clubhouse, so Hauss offered to get them cable television and internet service from Comcast/Xfinity. Hauss said he visited the Xfinity store in Turnersville, where he explained he needed a package that included Disney. The rep recommended a package with a monthly price tag of $63.16, he said. Hauss ordered the package online on April 8, but first, he said, he called to make sure the Disney Channel was included. It was, he said he was told. Installation happened on April 17 and all was well. Until May 10, when the Disney Channel stopped working. Michael Hauss’ wanted to get his granddaughter Julianna, a big Mickey Mouse fan, the Disney Channel. Hauss said he was told the only way to get the channel was to upgrade to a higher, more expensive tier of programming. It would cost an extra $10 per month to get the one channel they cared about. But the couple didn’t think that was fair. They thought Comcast should honor the original package. “Our 19-month old granddaughter is heartbroken and doesn’t understand why she can’t watch Mickey Mouse Clubhouse anymore,” Jarvis said. Hauss tried visiting the Xfinity store again, but a manager said upgrading the package was their only option. “When I asked her why I wasn’t told when I ordered the package that the channels were going to change, she told me that they only know what’s available when you order – not any future changes,” Hauss said. Hauss filed complaints with the Better Business Bureau, the Board of Public Utilities (BPU) and Consumer Affairs. Hauss soon received an email from a Comcast rep, who said he was writing to address Hauss’ complaint. After several days of phone tag, they spoke to two different reps. The answer was the same. Upgrade, or no Disney. “He told me that he understands that I signed up prior to the channel change and was affected by it but there was nothing more he could do,” Hauss said of one rep.
Unsatisfied, Hauss cancelled the account, returned the equipment and started considering alternatives. That’s when he and Jarvis turned to Bamboozled. We expected the fine print would show the company is permitted to make such changes, but we also believe in disclosure and keeping promises. Indeed, had the company been upfront about the coming programming switch, Hauss said, he would have taken the other package, even at a higher cost. We asked Comcast to review the case. We also checked in with the Board of Public Utilities. While cable companies are free to add or move channels within their line-up at will, under the Board’s rules, specifically N.J.A.C. 14:18-3.17,they must provide 30-day notice to customers and the Board prior to a channel deletion or cutback in service – unless the change is due to circumstances beyond the cable company’s control, said BPU spokesman Peter Peretzman said. Given that family’s service started on April 17 but the Disney Channel was gone by May 10, it seems impossible that a 30-day notice could have happened in this case. Comcast came back to us quickly, saying current customers were notified of the change but the Comcast agent who helped Hauss was unaware of the coming change. Generally, Comcast said its policy on programming is included in its terms of service. The terms of service says the company has the right to change its service, rates and equipment at any time with or without notice to the customer. Should it make any “material change” that changes a customer’s service, the customer has the right to cancel, the terms of service says. But then Comcast offered to help. She said the company will review its processes for training representatives when it comes to programming changes to avoid future issues. As promised, Hauss got a call. A Comcast rep offered the upgraded package – which includes The Disney Channel and also Disney Junior – at the same price they were originally going to pay. The rep also offered a reduced price for the second year of service and additional discounts on the equipment pricing. Thanks to Comcast for stepping up and making things right. “We are going to have a very happy granddaughter when her Pop-Pop picks up and reinstalls the equipment,” Jarvis said.